What Could The Council Do? 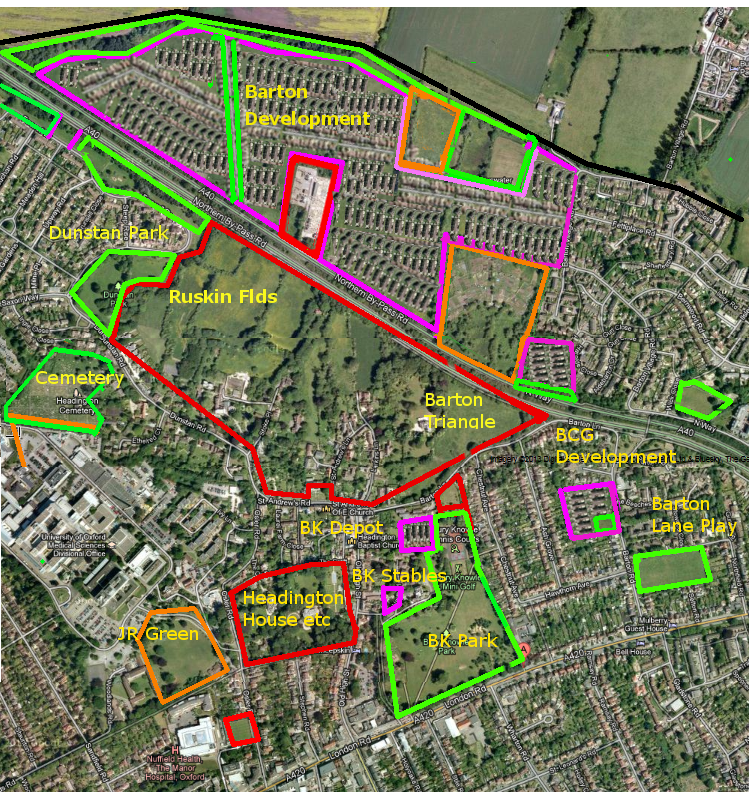 This article illustrates the effects of the Council’s decisions on one very important aspect of this – unrestricted green space, and how the Headington and Barton communities or “Urban Villages” are green deprived, and how much worse their situations will be by 2016 as approximately 38% of the 2111 houses planned under the Core Strategy will occur in the NE quadrant of the city. 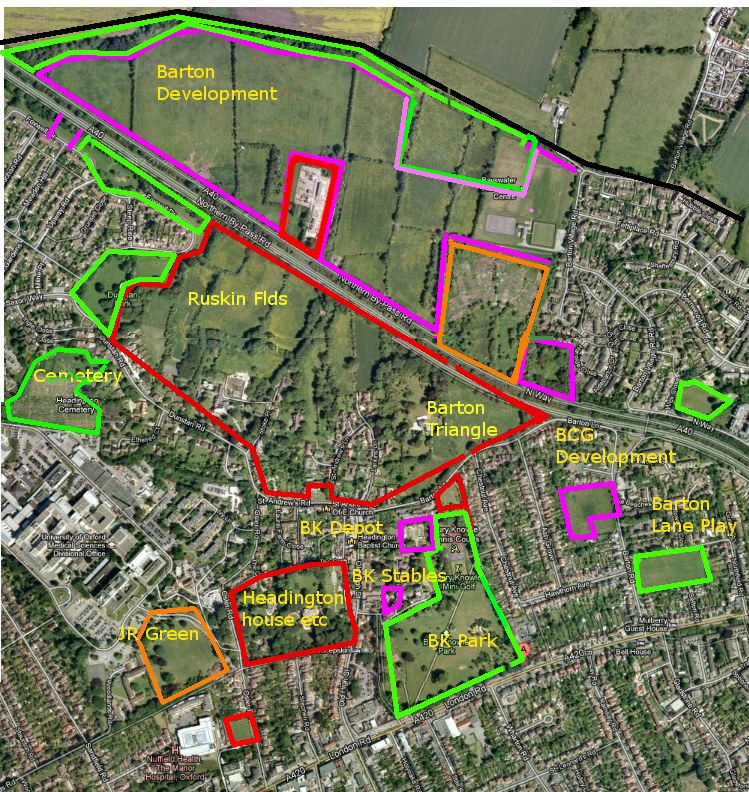 The green chaos caused by the muddled Council’s policy has lead to a green crisis, but its policies on the West Barton development, former Barton Cricket Ground, the last and largest candidate green space outside of Bury Knowle Park, and further, the selling off of its remaining assets at Bury Knowle – the depot and precious barn and stables, both of which were key candidate resources in mitigating green space losses and population increases, has lead from crisis to catastrophe. 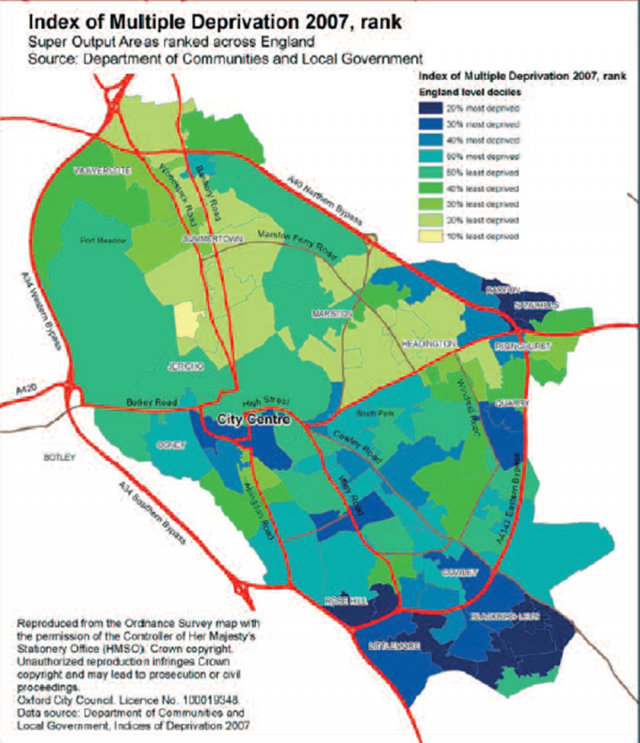 STOP PRESS – Barton population has an approximate 30% increase from 4659 (2005 , “urban village”) to 7145 (2011 census, Ward boundary) – therefore green space per 1000 is even less than shown below Headington probably similar. It has not only failed to address the needs of the existing population, but permitted the destruction of the only useable spaces for future green and community space provision of a burgeoning population, ensuring the development of Bury Knowle Park as there will simply be no other place left. Green space is a heritage asset, irreplaceable and precious, yet very little accessible space will remain by 2016 in this area. Green space is more than a matter of lifestyle, but of social equality, not only as every child has a right to connect with nature, but also attractive places to live result in genuinely mixed communities, reducing poverty of expectations and life outcomes. The Council could have built communities via sport and other collocated communal activities such as libraries and clubs which would have done much to mitigate the increasing concentration of poverty in the NE area resulting from the Council’s Policies, but all the candidate sites have now been disposed of – or very nearly. Green space is divided into unrestricted public access eg: parks (green border), limited, eg: allotments, schools (brown border) and restricted. (red border, inaccessible, and purple marking development sites. We live in a very segregated city with rich north and a poor south, as can been seen by the social deprivation map below. However, this map can be criticised  as it marks areas of low and denser population equally. If we annotate it with marking areas of low population and high green space the contrast between the economically and green space rich and poor becomes even starker. The Green Spaces Survey 2005/2007 (G.S.) was commissioned by the Council as part of its evidence base for the Core Strategy to review current green space in the city. Further confusion and obfuscation is caused as the “Headington Oxford Sub Area” in the Core Strategy (C.S) is effectively the NE Quadrant of the city (NE_OSA), whereas the Green Spaces Survey divides the same approximate area into the “Urban Villages” of Headington, Barton, Marston/Northway and Risinghurst. Meaningful correlation of population growth due to Core Strategy housing with green space provision is thus very difficult, and it appears regrettably the Council has neither attempted this nor communicated it to the Inspector at the recent at the Core Strategy or Site and Housing DPD enquiries. Much of our unrestricted green space is unusable or of poor quality, Headington (NE_OSA) has 4 of the top 5 “most threatening” spaces, (G.S.) even some of the “unrestricted green space” such as Headington Cemetery (2.43 H.A) is hardly a suitable location for most activities. Some of the other green space marked on the Green Space Survey of 2005 has also been lost, but this has not been assessed. Not only does the area lack accessible green space, but that which is available is either invisible, not officially publically accessible, and/or simply both officially non-existent and surrounded by notices “Private Property – Please Keep Out!” such as Ruskin Fields or arable such as Elsfield Hill (out of the Council area) adjacent to the Barton development. We can estimate the full extent of the deterioration of green space provision per person for the increasing population by taking the total number of houses (2111) for the NE Quadrant (C.S), multiply by five for an average of 5 persons per house (or 2.5 bedrooms) to arrive at approximately 10,500 persons, for Barton, a more accurate figure can be calculated based on Policy B.A.8. The Barton development will have 885 of the 2111, leaving a residue of approximately 1,200 houses in the remaining NE Quadrant. The Barton development is only required to provide a total of 10% of “new” green space, although it covers 38 H.A. of land that was previously accessible via the footpath along Bayswater Brook and to Stoke Place. In this calculation, the new population is estimated using the Barton AAP Policy B.A.8, the number of beds, and an occupancy rate of 80%, taking the original amount of green space in Barton, the linear park and minus the loss of the Barton Nature Park, allowing 1 H.A. for the 2.83 H.A. of “Green Ways” which are essentially broad road reservations. The former football field is marked at 50/50 unrestricted/restricted as it will be school grounds and public courts which in any case will require some restriction. Arable land to the north of Bayswater Brook is privately owned, and the public footpaths not particularly attractive, and certainly not suitable for any sports infrastructure. The allotments and other limited access space make value green space contributions, but they are not unrestricted. The below is based on the LLP Open Space statement and updated as shown. Eg: if Headington Urban Village had 40% of the population of the NE_OSA, we multiply (1200 * 5 * 0.4) to arrive at the population increase in 2026. Risinghurst and Marston (inc Northway) have been removed using the same calculations. Approximately 10,000 -11,000 extra residents for the N.E. Quadrant would require an extra 60 H.A. to provide adequate green space to conform to C.S.21. Much green space is either threatening, or of little value such as Headington Cemetery at 2.7 H.A. of a total of 15 H.A. unrestricted green space. Some of the development may have already occurred as the Core Strategy plan period may have been completed by 2005. It is very difficult to calculate the figures above accurately, they are questionable, but very probably representative. The Council’s reaction to the above has been nothing short of extraordinary, in lieu of protecting the green space and enhancing the remainder, it is selling off each and every space that could have helped to community, and authorising the destruction of much of the remaining pockets of green space. 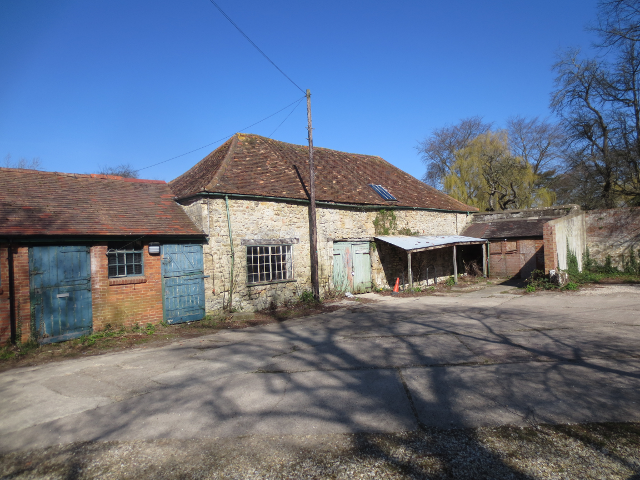 Council owned, this will be the single biggest community and heritage loss for many decades in the Old Headington Conservation Area, marking the squandering of a unique opportunity to create a very special community facility in the heart of Headington. Instead of providing a community space near at Bury Knowle, with parking for families, it is to be converted into units rendering the park inaccessible to those who can neither afford a £7 family return bus fare, nor manage prams and children on buses. The Council supported the destruction in spite of the objections of Sport England, a statutory consultee, of this, the second largest and last green space other than Bury Knowle requiring, via the Sites and Housing DPD only an unusable 25% of public green space, the rest to be 30 houses, adding to the green space pressure. The planning application currently for determination appears to only have 16% as green space although the land had an official S.R.5 protected status with an extant use as a cricket ground. The only characteristic the above share is they are legitimate users of green space, otherwise they largely interdict each other – the children’s playground interdicts the dog walker, the formal pitch interdicts trees and wildlife, the loud youths interdict the person looking for some tranquillity, formal infrastructure such a pavilions interdict usage of that space, therefore it is imperative to preserve each and every piece of green space to accommodate all the above needs, even if closely collocated such as former Barton Cricket Ground and the Barton Lane playground. It is nonsensical to suggest this space is “spare” on the grounds the Barton Lane playground is nearby. The further argument that this space is unused is equally absurd with large local population increases of green deprived communities concentrated with metres at Barton. It is equally absurd to trade section 106 contributions for land, no amount of improvement can compensate for irreplaceable green space. The £100,000 suggested is no compensation for the catastrophic loss of the second largest, and last useable remaining green space. Counted as part of the 7.7 H.A. of Bury Knowle “unrestricted green space” it impacts severely on the usability of the park, both as a loss of a candidate site for green facilities to use the park more effectively, and by permitting traffic into the park. The site has been described as “brownfield” which logically means Bury Knowle Park is also. A larger population creates greater pressures on public infrastructure, and the situation left to us by this Council is such that development of the remaining green space at Bury Knowle is inevitable for sports, education or other community infrastructure. The Council has failed utterly to provide for the needs of the existing community, and ignored the future pressures of the burgeoning population for green space, therefore increasing social division and inequality. The result is an increasingly divided city divided into the haves and have-nots. So where will the children play? Developer contributions will be used to ensure that the necessary physical, social, economic and green infrastructure is in place to support development. Improvements to, or the provision of, public green space, public rights of way, indoor and outdoor sports facilities and play facilities will be sought in accordance with Policy CS17. Views: GravestonesHeadington HouseEntirely concealed by high walls and inaccessible, some good habitat. Reproduction made under fair dealing criticism and review provisions of the Copyright Designs and Patents Act source as marked on image – Her Majesty’s Stationary Office.